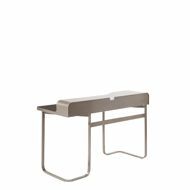 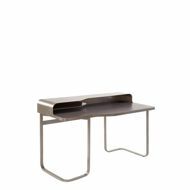 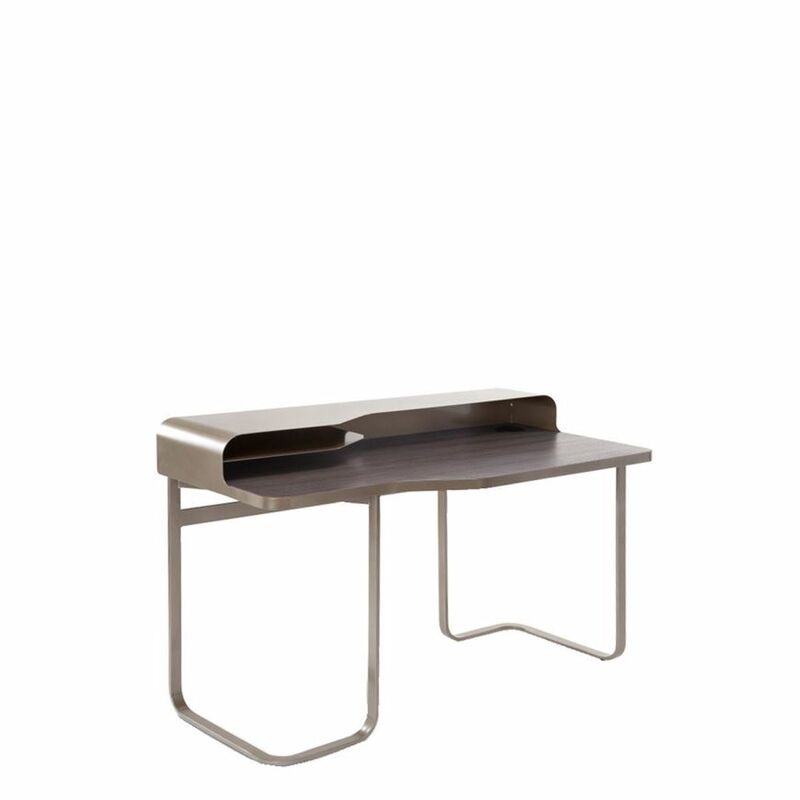 The EXCEL desk has been scaled down for today’s spaces, it sports soft curves and contemporary lines. 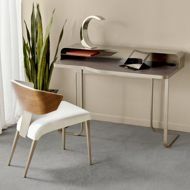 The walnut veneer desktop is surrounded by a sleek steel band that transitions to become a monitor stand/utility shelf and a compact storage center. 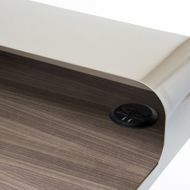 It houses a built-in power & USB port to keep you, and your devices, energized.